The president’s lawyer Rudy Giuliani threatened a legal battle with special counsel Robert Mueller if he attempts to subpoena Donald Trump. “It remains our position that the President’s actions here, by virtue of his position as the chief law enforcement officer, could neither constitutionally nor legally constitute obstruction because that would amount to him obstructing himself, and that he could if he wished, terminate the inquiry, or even exercise his power to pardon if he so desired,” reads the letter dated January 29, which was first obtained and reported by the New York Times. Trump tweeted 40 minutes before the New York Times broke the news, questioning whether Mueller’s team or the Department of Justice was responsible for leaking the letter. 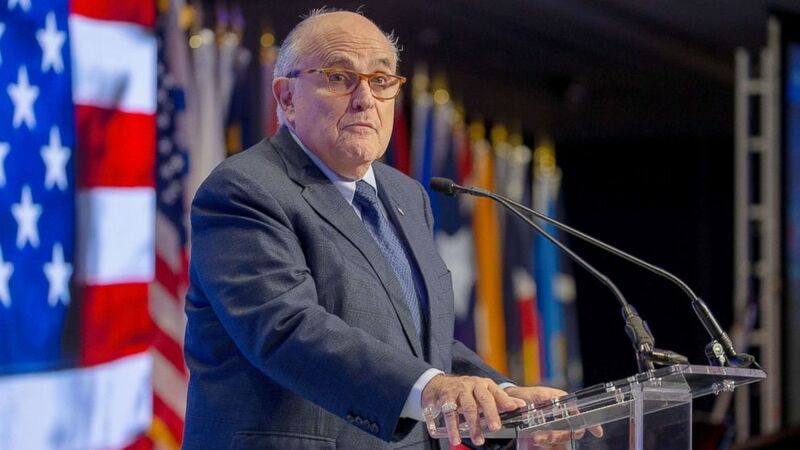 Echoing Trump, Giuliani accused the special counsel of the leak of the letter, saying that Mueller should have put out a statement condemning it and that he should investigate his team. However, there’s no evidence that the letter leaked to the New York Times came from members of the special counsel. Trump’s lawyers also acknowledge for the first time his involvement in dictating that infamous statement about the Trump Tower meeting in 2016, where Trump campaign officials, including his son and son-in-law met with a Russian lawyer who was offering negative information on Hillary Clinton. President Donald Trump delivers remarks during the U.S. Naval Academy’s graduation and commissioning ceremony on May 25, 2018, in Annapolis, Md. John Cohen, the former acting undersecretary for intelligence at the Department of Homeland Security, called the letter “highly unusual.” He stepped down in 2014.